If I remember correctly, Brickset members are writing fewer and fewer reviews over the year, according to your statistics. I suggest changing the "Review" section on each set to "Comments" to encourage people to say something. For example, I like to read tidbits like "jaws tend to get stuck at fully forward and backward positions" or "fists actually hit the ground with a satisfying smashing noise when you roll the vehicle." I think it's not agaisnt the rules to write reviews that short, but most people won't, because they think it'll be embarrassing. To make it more visible, you can introduce a preview under the barcode section. Maybe first 100 characters of the latest 10 comments/reviews (or whichever numbers you consider suitable). The biggest challenge would probaby be the increased moderation load. I guess you currently have to review every review before letting them go live? Perhaps you can limit the right to comment to members with at least 1 year on Brickset (or whichever duration you deem suitable). Another solution might be to only check the first few comments of each member; if they're not botting or saying inappropriate things, you can give them a license to comment without moderation. Just two things floating on top of my head at the moment. Thanks in advance. I'd also like to say that, even if you don't consider my suggestion, this site is very well-run and useful. I'll not like it any less. If that does happen please make it hideable. I pretty much know what sets I like, and want to get when I see the official pictures. If I'm on the fence I'll go to YouTube, and see a video review. While some reviews are helpful most of the members ones I've read don't help me at all. I stopped reading member reviews a long time ago. 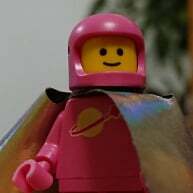 I think the official Brickset reviews are fine, and they are the only ones on site that I read. It may be just me, but pictures do more for me than any written review. I'm happy members like to write reviews they are just not for me. I'd also prefer to see proper reviews rather than just one line comments about sets. Single line comments will all be along the lines of "great" or "crap". Anything useful will get hidden amongst the useless. Fewer, higher quality reviews are better than loads of useless, short ones. +1 for preferring fewer good quality reviews than a higher number of lesson depth or one line comments. If I can’t tell something from images single line opinion comments are unlikely to be much help.